Castaño de Baamonde, originally uploaded by FreeCat. 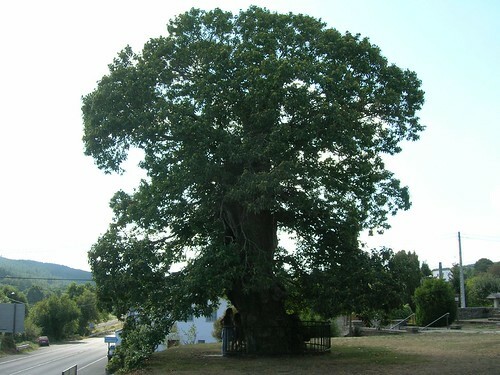 In the town of Baamonde, Galicia (Spain) there is a very old Chestnut tree with a small chapel in its trunk! 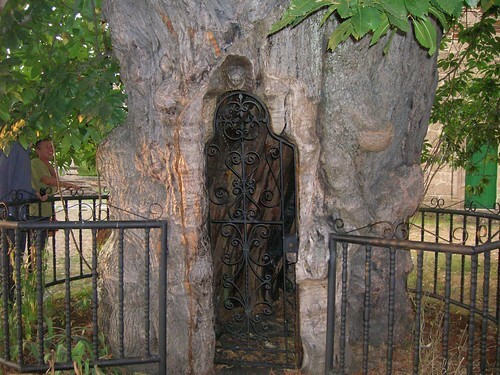 The hollow has been converted into a niche (a place where small statures of the Virgin Mary or other saints are kept) Inside there are several small statues carved from wood taken from the inside of this same tree. The carver was Victor Corral. It is really an interesting chestnut tree. Happy for seeing my photos in your blog.